'Twas my brother's birthday yesterday...hoozah!! Now, what do I get the guy who has everything? I say a couple of brand new, spankingly beautiful, cozy blankets from Sackcloth & Ashes for his cabin in Wisconsin - where you can never have too many outdoor covers! And here's the thing about purchasing this good-looking, hearty spread...you will also be providing a blanket to your local homeless shelter with every purchase. Nothing better than that! I've written about this superb company before - November, 2015...I love them. The blanket is a wool blend, of medium/heavy weight, and can be used for indoor/outdoor home decor. 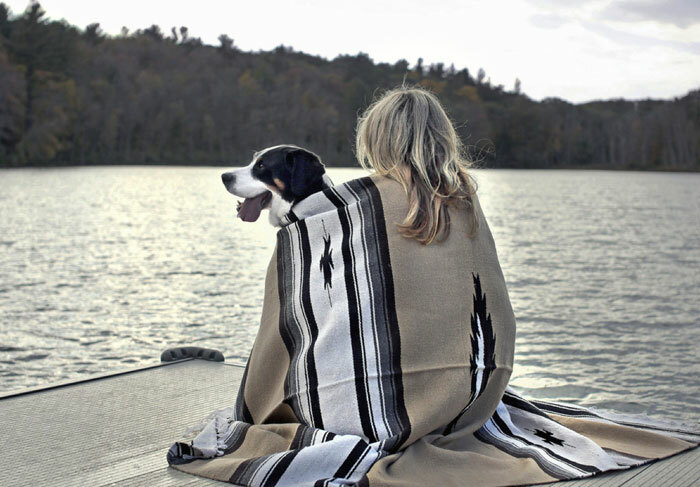 This comfy, supple, beauteous alpaca wool throw is perfect for the season. It is elegant and ultra soft, well-made and edged with a fine fringe. But the best thing about this sumptuous throw; for every blanket you purchase, you will also be providing a blanket to your local homeless shelter. It's just that simple and straightforward. Founder of Sackcloth & Ashes, Bob Dalton, was inspired to help the homeless population when his hardworking single mother, found herself living on the streets in 2013. Because of his mother’s story, he began to call homeless shelters in his area to ask what they needed...they all said blankets. Thus, he created Sackcloth & Ashes. They sell high quality blankets worldwide, and since the founding, they have provided over 4500 blankets to homeless shelters.